DAAD’s information tour “Germany Today” is designed to give participants a broader overview of Germany’s higher education landscape. This includes an overview of Germany’s higher education and research system, an update on current developments, innovative projects and structural reforms, details about BA and MA programs as well as PhD training at a spectrum of institutions, insights into universities’ institutional internationalization strategies, information on the institutions’ cooperation within strategic networks and with corporate partners, and information on funding opportunities for academic exchange and institutional cooperation. 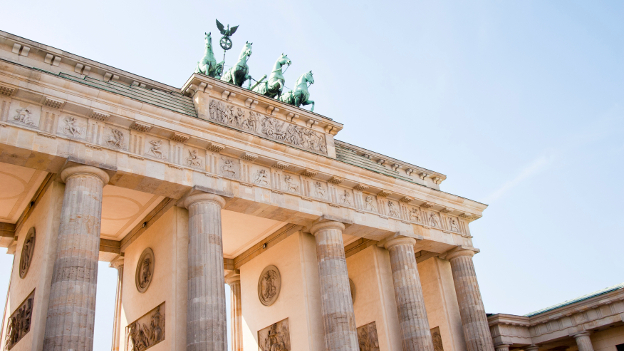 DAAD invites representatives from universities, research institutions, and funding agencies in the United States and Canada, as well as colleagues from the fields of education policy and politics to join us for our “Germany Today” Information Tour 2019 from June 23 - June 29, 2019. This year, we will be focusing on the internationalization of German universities. Internationalization of higher education has become a strategic objective for individual universities, as well as for governments. Methods of internationalization have increased in scope, expanding from teaching and learning to include initiatives like research collaboration and staff exchange. Beyond the academic dimension, these experiences involve multicultural and multilingual aspects. As to the management of internationalization, both deliberate and emergent strategies are relevant. The tour includes on-site visits at a variety of universities, which differ in size, resources and specific objectives. Participants will speak with representatives from the university administration, as well as with the front-line staff, and they will meet with political decision makers. Gathering unequivocal performance indicators and assessing the success of internationalization strategies are essential for the process of internationalization. A one-day workshop with representatives from universities, funding institutions and specialized agencies will focus on this topic. 1. Government of the city-state Hamburg - Office of the Second Mayor and Minister for Science, Research, and Equalities: The political perspective on the internationalization of higher education in Hamburg and Germany. Hamburg is Germany’s second-largest city with nineteen universities and very strong international ties. 2. Universität Hamburg: The largest institution for research and education in northern Germany, it focuses on holistic internationalization. Its strategy defines a number of overall objectives, including the establishment of a strategic partner network with internationally renowned higher education institutions. 3. Hamburg University of Technology: A technical university with a focus on interdisciplinary research, innovative teaching and learning, and entrepreneurship. As a founding member of the European Consortium of Innovative Universities and almost 20% foreign students it has a strong commitment to internationalization. 4. Bremen City University of Applied Sciences - HSB: A university of applied sciences focusing on practice-oriented teaching and research in business, engineering, and social sciences. Internationalization is HSB’s outstanding profile element and an integral part of the students’ education in all disciplines. 5. Georg-August-Universität Göttingen: A research university with a focus in research-led teaching, a wide range of subjects particularly in the natural sciences and humanities and more than 875 cooperative agreements world-wide. The University is pressing ahead with the internationalization of all curricula. 6. Justus Liebig University Giessen: A differentiated comprehensive university with two Profile Zones: Cultural Studies and Life Sciences. Ten percent of the students are international, and more than 30 percent of postgraduates come from abroad. „Future through Internationalization“ is a core message. 7. German Academic Exchange Service: The group will be informed about funding opportunities and the participants are invited to contribute their expertise to a workshop on the quantitative assessment of internationalization, together with representatives from universities and other agencies. The program will be in English. Program-related costs in Germany (accommodation, domestic travel, most meals) will be covered by DAAD. The program officially starts in Hamburg on Sunday afternoon, June 23, 2019 and ends with a dinner on Friday evening, June 28, in Bonn. The night from Friday, June 28, to Saturday, June 29, is also booked and covered by DAAD at our hotel in Bonn. Intercontinental travel is at the participant’s expense. North American participants in this program are typically senior administrators at leading universities in the U.S. and Canada (such as vice presidents for international affairs or heads of international offices), policy makers in federal and state/provincial governments or associations, and other experts in the higher education field. Applicants must have U.S./Canadian citizenship or permanent residency, and have special interest in Germany and transatlantic co-operation, and a relevant professional position. They should not have recently participated in another information trip to Germany. Applications – ideally as one PDF-document - must be received by March 15th, 2019. Please contact Ms. Uta Gaedeke at DAAD’s New York Office at 212-758-3223 x209 or at gaedeke(at)daad.org for further information. Note: The application form and full program description can be downloaded in the box on the right.